The rain is pitter pattering on the roof as I type this. Dot & Leo are playing together on the living room floor after being cooped up in the pickup most of the day, I have a Widmer Hefeweizen open and Clint is getting cleaned up. I thought I'd try to put together a quick post about the weekend, and then I'm headed for a cat nap before the late night check. 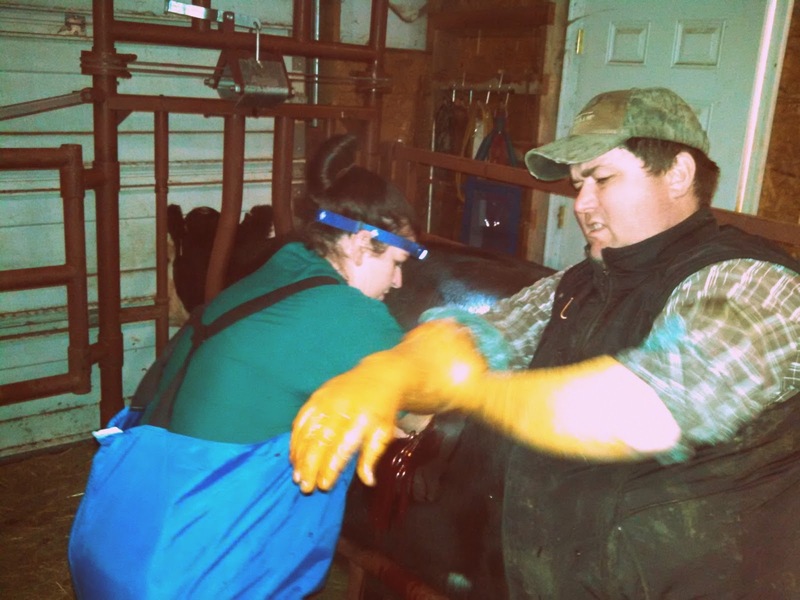 We're calving in full force, and we kept busy just trying to keep up with tagging calves, pairing out and bringing anything that needed a little attention through the barn. 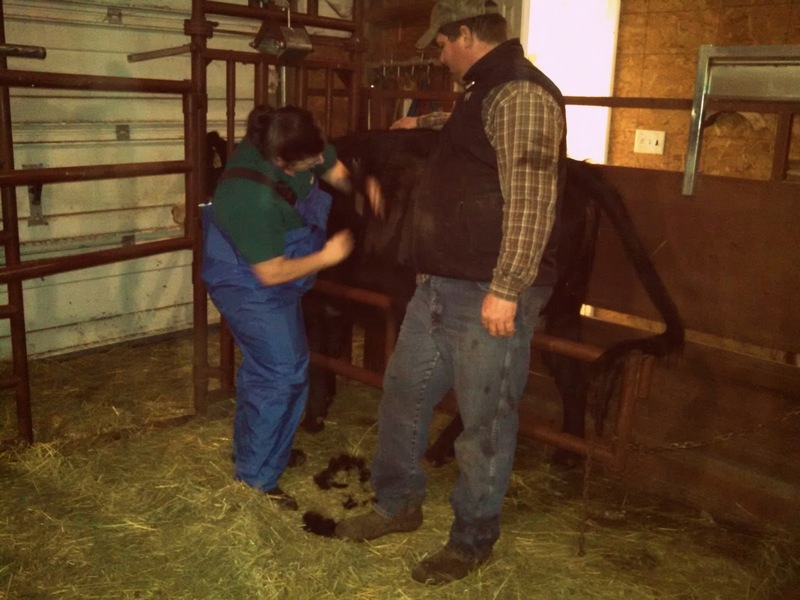 We've had three sets of twins, a few heifers who couldn't keep their own calf straight, a chilled calf or two, and we wrapped up tonight with a C-section on a first calf heifer. Thank you Dr. Marcum for helping us tonight with 3633! We appreciate you & your expertise! 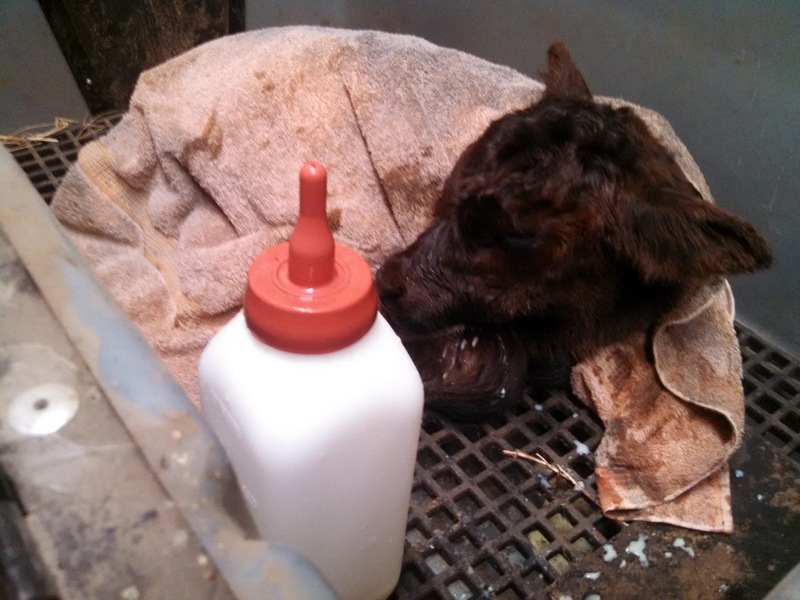 The first calf heifer did well during the C-section, but her calf wasn't born alive. 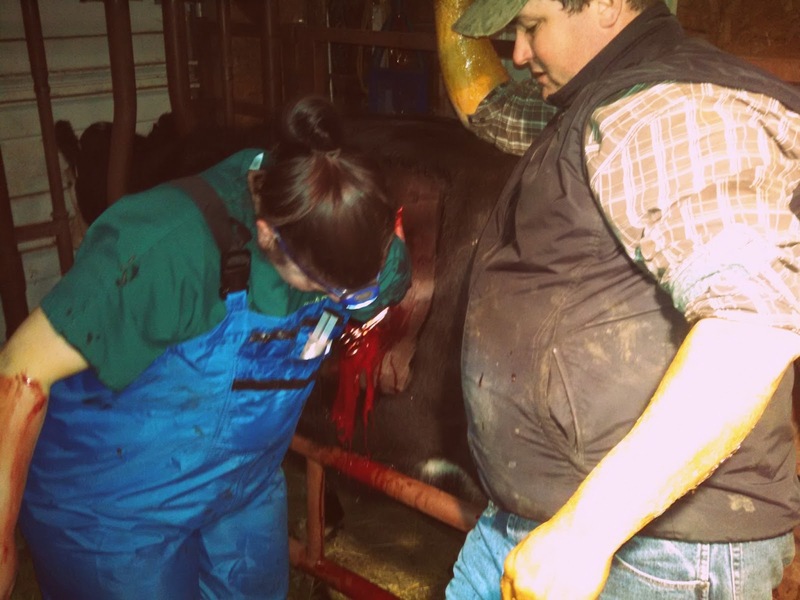 We actually had a pretty good hunch that the calf was dead when Clint palpated the heifer when he brought her into the barn. The calf had originally been presented with all four feet coming at once, so the heifer couldn't really push and she never broke her water. We noticed her goofing around when we were feeding tonight, and brought her in. Once we realized the calf wasn't alive, and that the heifer's pelvis was just too narrow to pull the calf, we called Carrie. Since we had so many twins, we had one ready to graft onto 3633, and as we shut the lights off in the barn to head home, the graft calf was happily nursing away on the heifer who'd just had the C-section. 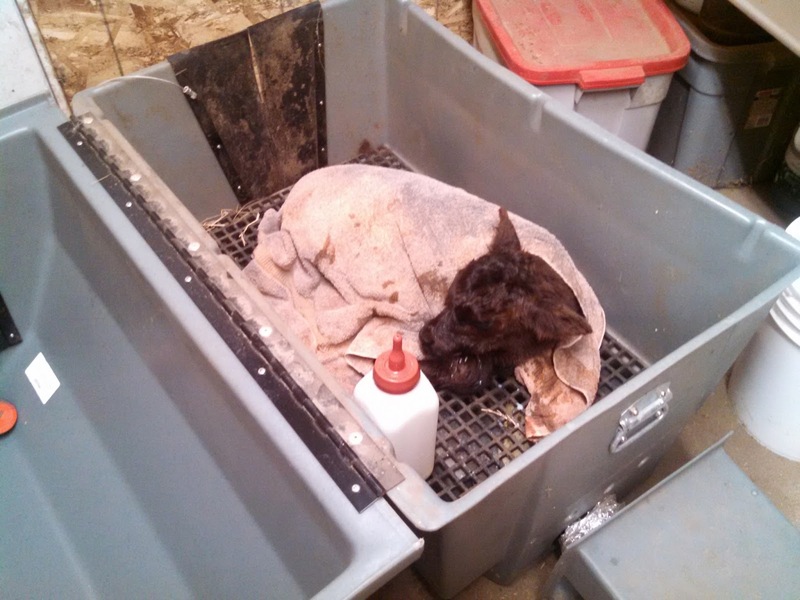 This little calf was pretty cold Saturday morning, so we brought it in and let it get warmed up in the calf heater hutch. Clint bought this last year and it has been the handiest tool. It'll get a calf warm and dry in about an hour and since they're dried with warm air the calves still have their scent and the cows almost always take them right back. This weekend we cycled a few calves through it just because it was easy to get the chill off of them. 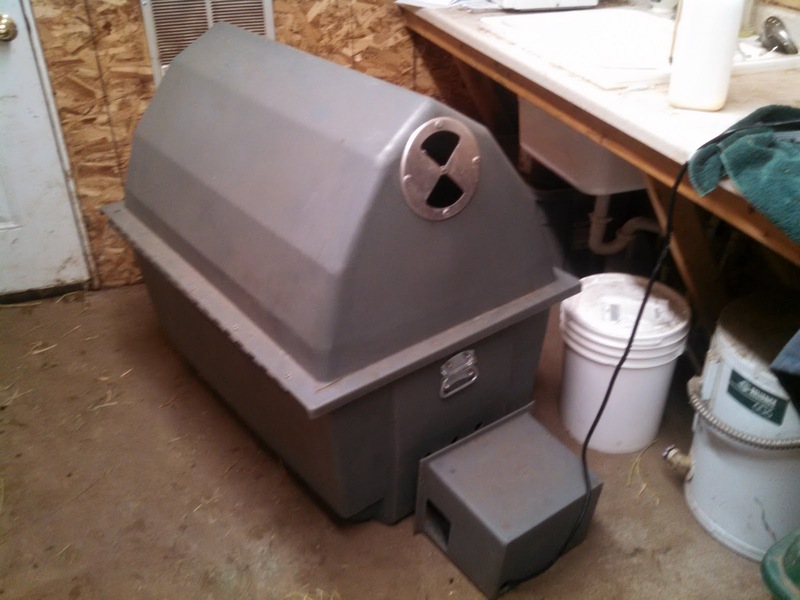 And when it's closed, and the heater is going, it'll warm a calf in about an hour. We were trying to figure out how many calves we had this weekend, and we think we had about 20 or so. 16 are tagged and paired out, four are in the barn and there's a handful that calved this afternoon and tonight that Clint will get to tomorrow. There's still plenty more to calve, and I just hope that we can keep a positive attitude and have a successful calving season as we cycle through the rest. I hope you all had a great weekend, and that you're living the dream! 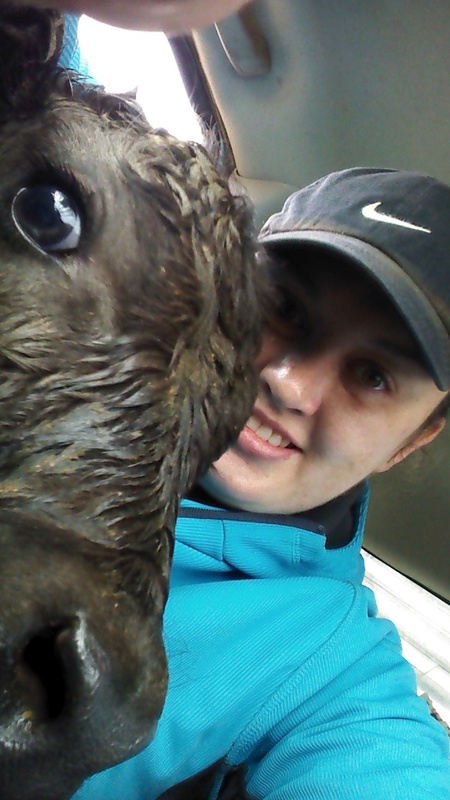 Calving time is hard, and it takes a lot of effort - but we love what we do and this time of year is our chance to put forth extra effort and make sure we can help have as many live calves as possible. If my posting is a little sporadic these next few weeks, it's probably because I'm at the barn in the evenings helping Clint. I wanted to say thank you to everyone who stops by this little space. Not only did calving start in full force this weekend, but I also happened to see that the blog reached over a quarter million (250,000!) views this weekend too. I try not to watch the stats too much, and I know that's not a lot of views in comparison to some blogs but I thought it was exciting and it's all because of you and your support of us and what we do.